The Tongass p rovides an abundance of wild salmon berries, blueberries, and huckleberries—what better way to enjoy their wild summer flavors than in a pie shared with friends and family? The Cloverbuds 4H Club learned how to bake pies this week, mastering a home-baked good that many shy away from. Each Cloverbud went home with a pie ready to bake; for many it was their first (and for the parents too!). Each member made their their dough, patted it into a round, and rolled it out to fit in the pie dish. Fillings were poured in and tops were added. It was great to see youth who were overwhelmed by the thought of making pie or touching butter get into the process and see (and eat ) their final product. Sharing foods, especially ones with locally-harvested foods is a deep pleasure that connects us to place. After our pie-baking extravaganza, we met to create light. Candles today often add ambiance to rooms but historically they were a critical light source. Students got to rotate through different stations, creating three different types of candles. They each dipped candles, resulting in chubby little pillars perfect for the next birthday cake. They filled a votive mold and also decorated jars with glitter, marbles, stones, and sprinkles to create personalized candles. After the melted wax was poured, wicks were placed in the center, and we patiently waited for them to dry. The candles turned out beautifully—putting a few in our survival kits wouldn’t be a bad idea for emergencies. A big thank you to parents Eric Kaplan and Susea Albee for leading the activities for the month and parents Paty and Scott Harris for hosting! 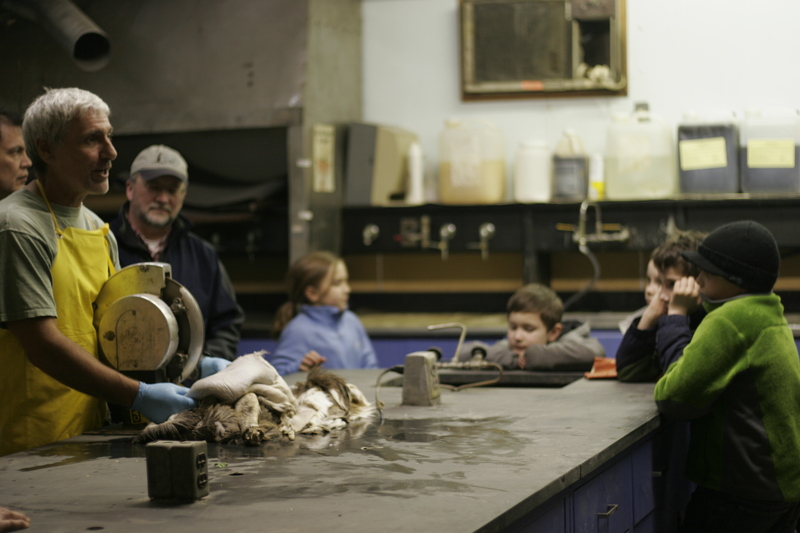 Earli er this month 4H members went to Ed Gray’s local tannery at the Sawmill Industrial Park. 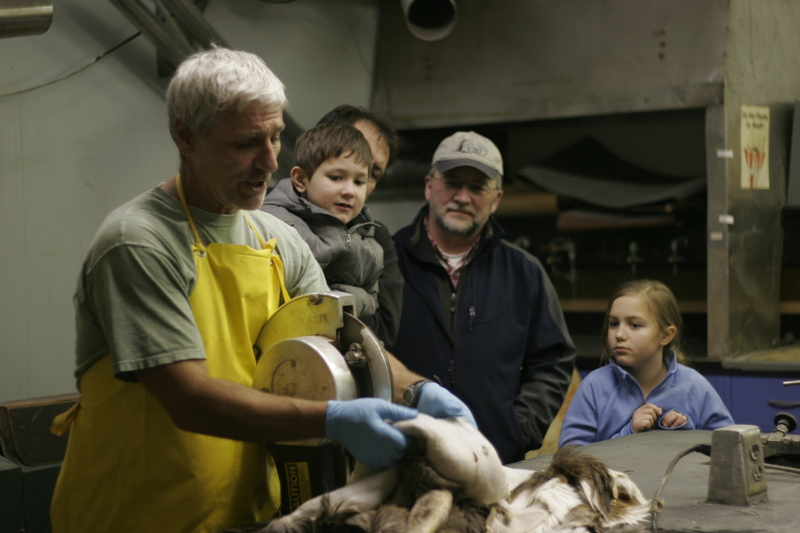 We were instantly immersed in his world of preserving hides, the process between skinning an animal and the hide that sits nicely on your couch or lines your mittens. Ed Gray took us through this process step by step. What I write below is an over-simplification but will give you an idea of what it takes to preserve an animal hide. First the hide needs to be scraped to remove any remaining flesh that could rot, this process is appropriately called “fleshing.” Ed has his own unique method, but I won’t share his secret here! It is then salted, which acts as a preservative and pulls out excess liquid. Once the skin is dry and the hair is set, the skin is rehydrated and placed in a pickling solution of water, salt and acid (Ed uses a plant-acid). This swells the skin so it can be shaved, creating a softer pelt. Ed said it took him over 300 hours to master this fine technique. The hide is then placed in another solution with an adjusted pH allowing it to react with the tanning solution where it sits for 15 hours. 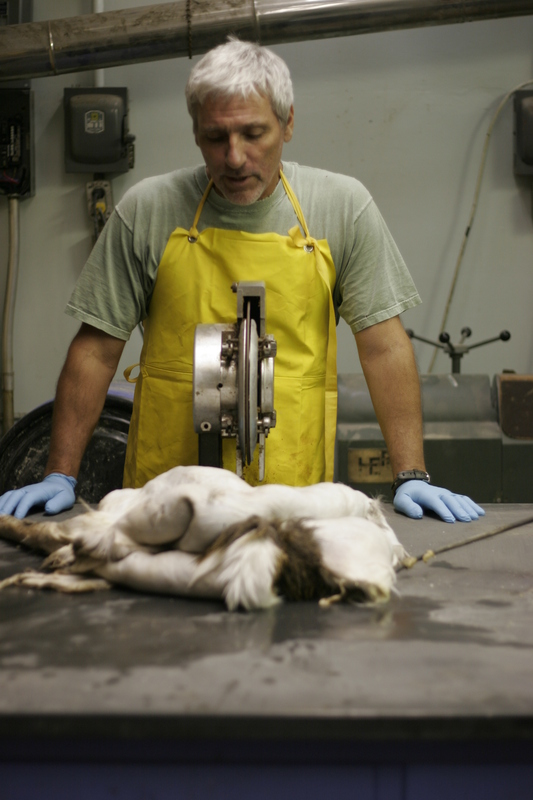 Then the skin is removed and allowed to dry overnight before it is oiled and dried almost completely, about 90%. The skin is then tumbled in a hardwood powder to finish the drying process by removing any remaining oils. The process is complete once it is tumbled in a wire cage to remove the wood flour and then buffed creating a soft and shiny hide for the proud hunter. The Sitka Conservation Society is seeking an applicant to support the Sitka Community Wilderness Stewardship Project. The Wilderness Intern will assist SCS’s Wilderness Project manager to coordinate and lead monitoring expeditions during the 2012 summer field season. Benefits: Intern will receive no health or dental benefits. Intern is responsible for housing (SCS will try to assist in finding low-cost housing options). 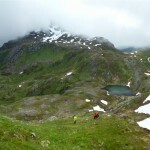 SCS will provide appropriate training for fieldwork in Southeast Alaska. 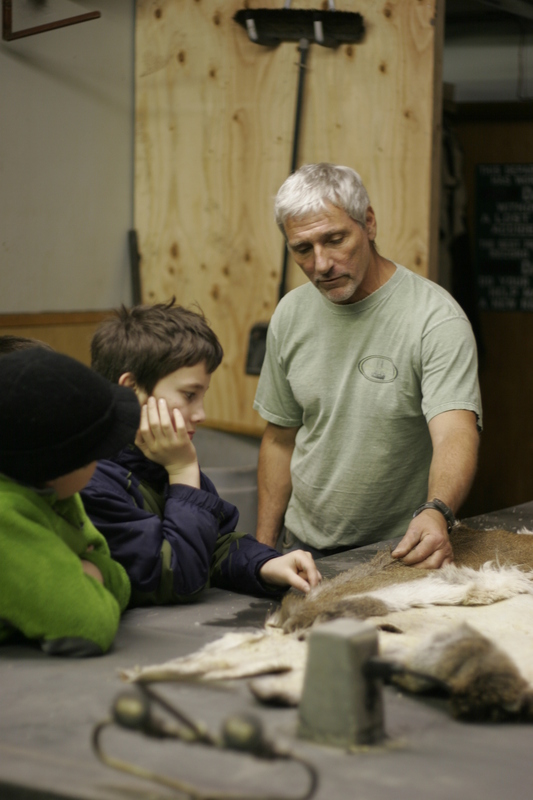 · plan and conduct outreach activities including preparing presentation and sharing materials on Wilderness and Leave No Trace with outfitters/guides and other Forest users. · Ability to work in a team while also independently problem-solve in sometimes difficult field conditions. · Adhere to the policies and direction of SCS, including safety-related requirements and training, including those related to remote travel and field work. · Work closely with the SCS Wilderness Project Coordinator to update him/her on accomplishments and ensure that any questions, concerns or needs are addressed. · Be a good representative of SCS at all times during your internship. · Arrange course credits with your university if applicable. Application will close March 31, 2013. Click the link below for previews. Combine a crack up sense of deadpan humor, small waves, eco art surfboards, and a horrific fear of sharks … what do you get? Monsterboards, of course. 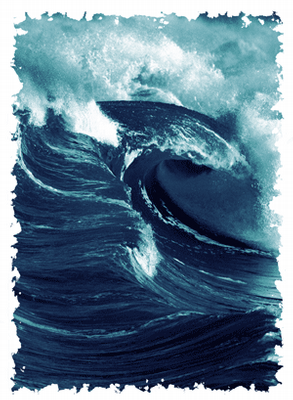 Surf’s up, enjoy the ride! Meet the UC Santa Cruz marine biologists using high-tech tools to track elephant seals along the San Mateo coast. Some of these marine mammals weigh 4,500 pounds, can dive for a mile, and hold their breath for an hour. The elephant seals incredible come back from near extinction is a testament to the power of protected areas. This piece dives deep into the impoverished community of Lobitus, Peru and the experience of surf travelers who share their passion with the youth. Witness the opportunity for empowerment as kids learn about creativity and self-expression from international surfers turned humanitarians. Coral reefs are like underwater gardens, but who would have thought you can garden them in just the same way? Austin Bowden-Kerby is a coral gardener. He has brought together his love of gardening, and passion for the underwater world, to do something very special that just might save the coral reefs of Fiji. Directed by Emma Robens. A non-verbal, visual journey to the polar regions of our planet portrayed through a triptych montage of photography and video. This piece is a multi-dimensional canvas of imagery recorded either above the Arctic Circle or below the Antarctic Convergence. Narrated by Celine Cousteau, this film is a journey to the heart of Oceania where an international team of researchers studies the rapidly changing diet of French Polynesians. Through the scientists’ investigation and by spending time with families, fishermen and school children we discover a public health crisis brought on by western influences. Who will win a race that involves both air and sea? Find out when our intrepid Rhinoceros Auklet is pitted against an Arctic Tern in an Olympic-caliber spoof that demonstrates the unique physiology and biology of the Alcid species. Simply mesmerizing. This is the story of six weeks solitude and simplicity, the rewards of submersing children in the wilderness, and the challenges that make it memorable. A dream trip for many of us, no doubt, but does that dream include diaper swap outs at the re-supply? You’re not gonna believe this one! The Majestic Plastic Bag, USA, 4 mins. A brilliant mockumentary about the miraculous migration of “The Majestic Plastic Bag” narrated by Jeremy Irons. It was produced by Heal The Bay as promo in support of California bill AB 1998 to help put an end to plastic pollution. 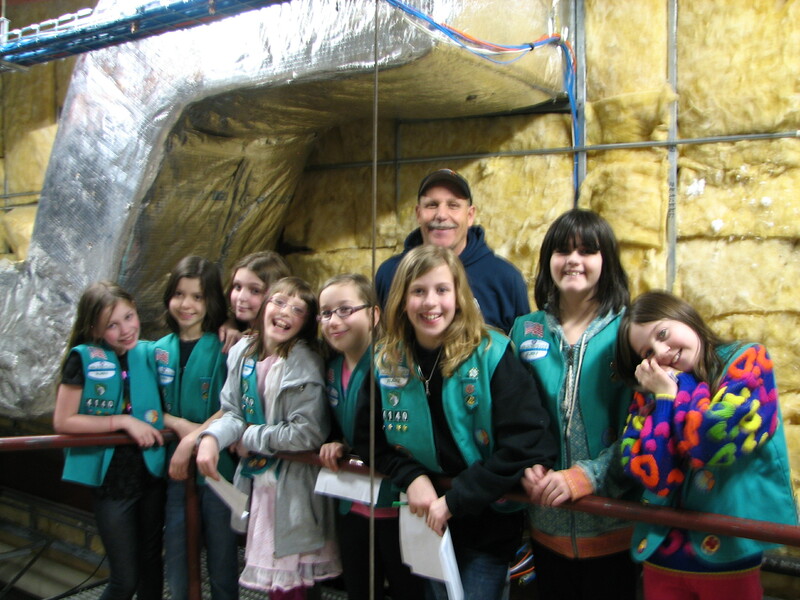 As Junior Girl Scout Troop 4140 continues to press on with the Get Moving Energy Journey, the scouts learn the value of good insulation in homes and buildings. 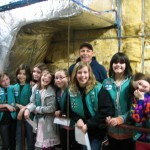 The troop had the opportunity to see four different types of common insulation and test their knowledge of R Value. The results surprised the girls as they learned appearance does not always reveal which insulation will be most energy efficient. After examining insulation in buildings, they focused on every day types of insulation such as wool, aluminum foil, cotton, and plastic. 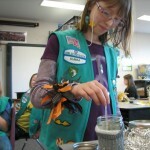 Following their predictions on which material would be the most energy efficient, the scouts took turns taking the temperature of the water inside the experiment jars. As most scouts predicted, the wool worked best followed by the aluminum foil – it turns out these girls can’t be fooled by appearances anymore. 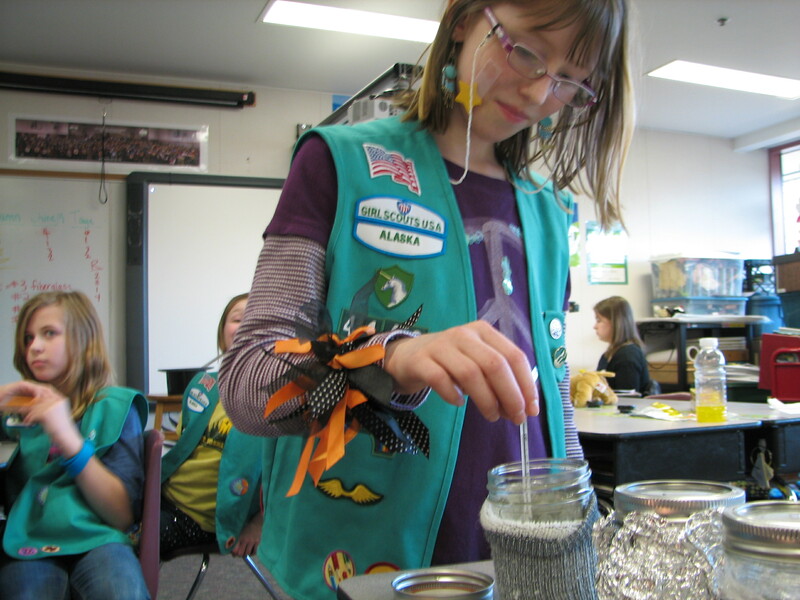 The skills the girls learned in this activity are just a fractional of the material in the overall journey that will teach them how to live more energy efficient lives. This Friday, troop 4140 will go on a tour of their school, Keet Gooshi Heen Elementary, led by a member of the maintenance staff to learn the ins and outs of the energy in the building. Proceeding the tour, the girls will make a list of recommendations to the school board regarding potential upgrades that could make the school more energy efficient based on the things they have learned during the journey. Deer visiting the exclosure one week after installation! 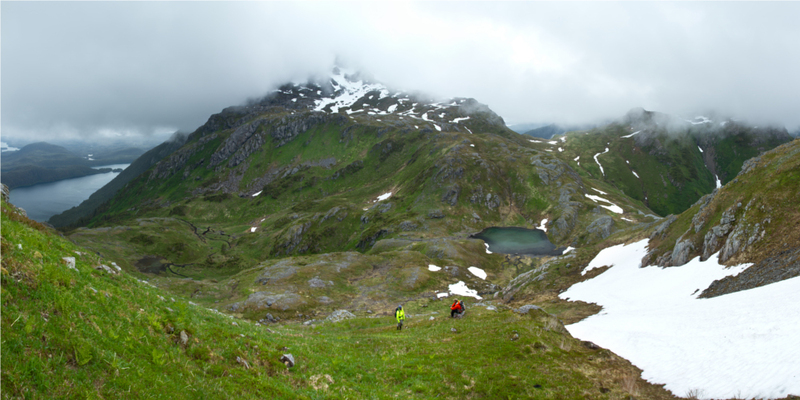 At SCS, we know that getting people outside and participating in the stewardship of our environment is the single best way to realize our vision of a sustainable community living within the Tongass National Forest. 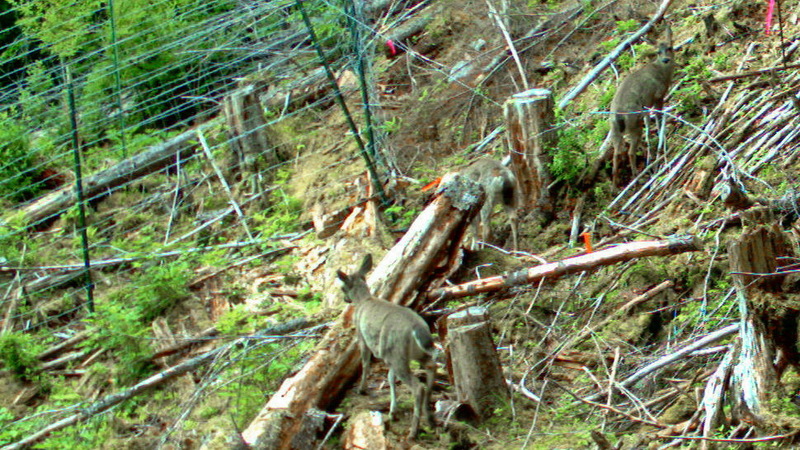 Last summer, SCS, the Sitka Ranger District, and Sitka High School established a long-term monitoring study that will evaluate the efforts made to restore deer habitat in young growth forests in Peril Strait. 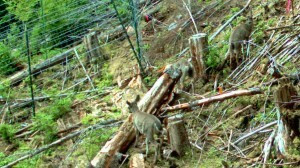 Students built four “deer exclosures” to support this study. 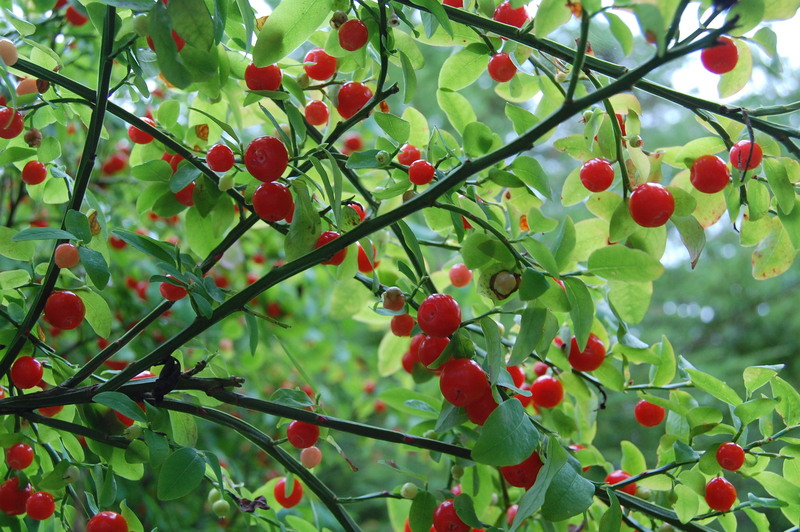 The exclosures will allow us to study the plant growth that occurs without being browsed upon by deer. Students will revisit these study sites each year. Through this project, students are being active participants in ecological restoration and gaining valuable insight in what it takes to be good stewards of our backyard! The Sitka Conservation Society has been awarded a grant to partner with local organizations to build capacity for the use of Tongass young growth timber, and to create a long-term strategic plan for watershed restoration in the Sitka Community Use Area. The grant is awarded through the Community Capacity and Land Stewardship Program, a collaborative program of the National Forest Foundation and the U.S. Department of Agriculture. The two-phase project will build momentum of the Sitka Collaborative Stewardship Group by partnering with local high schools and community members. 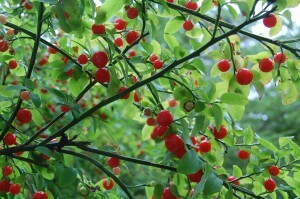 With the $20,000 grant, the project will last throughout 2012 and will result in a collaboratively defined Strategic Restoration Priorities List, a Best Management Practices document on partnering with the U.S. Forest Service on restoration projects, and initial efforts to advocate for the highest priority projects. 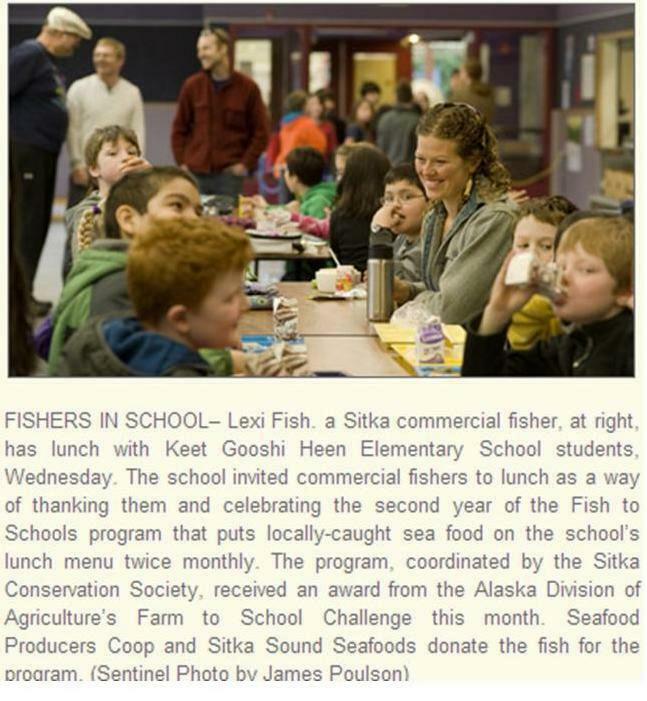 SCS will partner with Sitka High School (SHS) on the young growth component of the project. Industrial arts students will build furniture and a visitor’s kiosk for Sitka Sound Science Center with young growth timber harvested and milled on Prince of Wales Island. These projects will take place during the 2012-2013 school year and will be the first time local wood has been used in SHS industrial arts projects in nearly a decade. 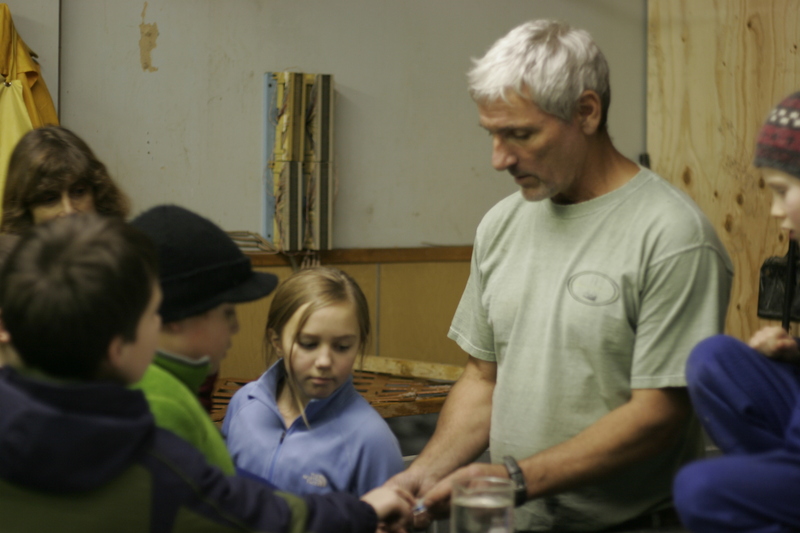 Based on the experiences at Sitka High, SCS will develop a best practices guide for buying local wood. The guide will compare the cost of local young growth to imported wood, will detail where and when local wood can be purchased, and will explain properties of local young growth that may be different from conventional lumber. SCS and SHS will host two educational open houses during the 2012-13 school year for local builders and other community members on the best practices. Bill Thomason, owner of Alaska Wood Cuts Mill, will sell SCS young growth spruce from a stockpile of timber he acquired under stewardship contract during a 2007 habitat restoration project on Prince of Wales Island. The second component of the grant will focus on strategic planning for collaborative watershed restoration projects on the Tongass. In recent years, the U.S. Forest Service, Sitka Conservation Society, Trout Unlimited and other partners have worked together to restore salmon streams damaged by industrial logging practices decades ago. Despite the work and successful partnerships, projects have proceeded without a community-derived strategic plan. 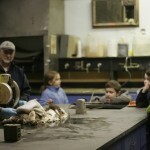 The Sitka Conservation Society strives to blend sustainable community development with policy advocacy through projects and initiatives that demonstrate our ideals while building community and community assets. Along the way, we organize stakeholders to work together with a commonly shared vision. The ideal projects are those that bring people together working face-to-face/shoulder-to-shoulder to jointly and collaboratively build our community under a vision of sustainability. If we are not working with new and different partners, if we are not working toward institutionalizing our values within existing agencies, or if we are simply working within one closed group, we are not successful. Months have passed with hydroelectric shortage and the City of Sitka Electric Department has warned the community that the risk of having to use supplemental diesel fuel to run the town’s functions is high. In order to let this message sink in a bit further, Utility Director, Christopher Brewton, made this graphic meant to encourage electric users to switch to oil by using a visual that most people can relate to. 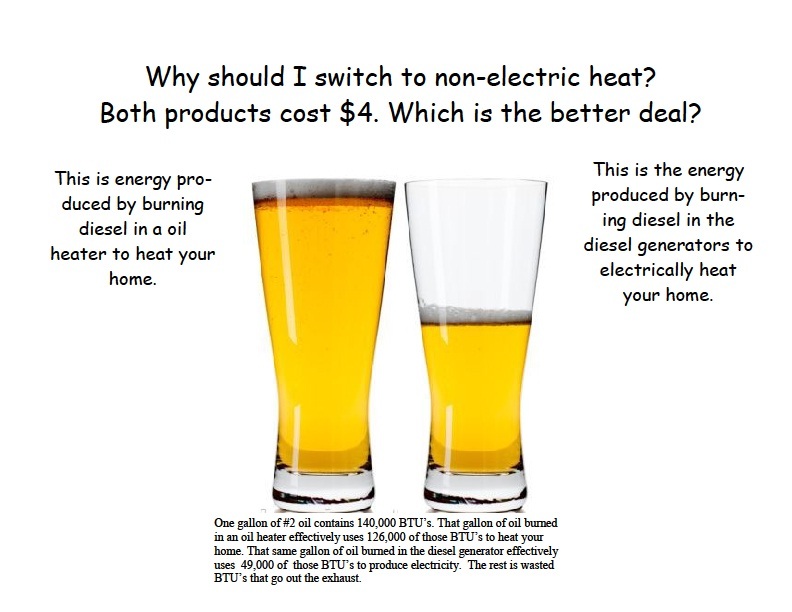 This simple graphic shows electric users that using an oil heater is over 2X as efficient as gaining electricity through the extremely inefficient diesel generators. Brewton hoped to encourage those with duel heating systems to switch since the diesel surcharge will add to every electric user’s monthly bill.